Drew Airee - The Airee accomodates custom orthotics and features a steel shank - $164.95 - free shipping. 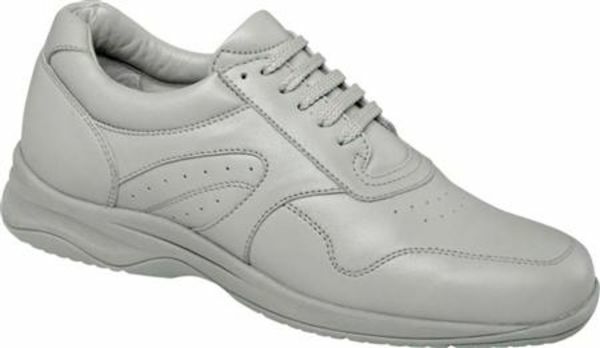 Feel like you are walking on a cloud wearing Drew Airee shoes, the lightest women’s orthotic shoes ever produced by Drew! Experience all of the benefits found in our line of women’s therapeutic shoes that keep you both healthy and comfortable while on your feet. Drew Airee shoes feature a lightweight EVA outsole that helps absorb shock and a removable insole which can be replaced with prescribed orthotics. Look no further than the Drew Airee for the amazing all-day comfort your aching feet desire. Click to see all the Drew Airee colors.